Being a near 60 year-old, I have been in love with Tolkien's Hobbit and Middle World fantasy for a long time--since my teenage years. I introduced the Fellowship of the Ring movie to my sons when it first came out and they became big fans too--seeing it repeatedly in the theaters and with great anticipation and a famished appetite, consumed the next two parts of the trilogy when they finally arrived in theaters. We bought the VCR and DVD versions and would have marathon watching sessions together often. They introduced it to my grandchildren so the tradition continues. 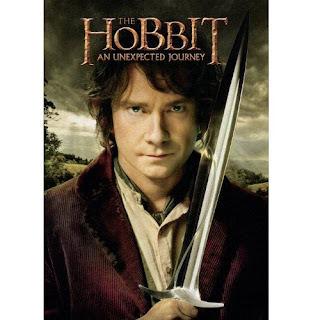 Synopsis: The adventure follows Bilbo Baggins, who is swept into an epic quest to reclaim Erebor with the help of Gandalf the Grey and 13 Dwarves led by the legendary warrior Thorin Oakenshield.